The NHL’s best flocked to San Jose on Jan. 26 to participate in the 64th All-Star Weekend. Friday night was the flashy skills competition followed by the 3-on-3 divisional tournament on Saturday evening. The skills competition is always a fun show to watch. The league’s best either race, dangle or wind up and compete for bragging rights in the individual events. In particular, one of the events to watch this year was the Bridgestone NHL Fastest Skater, an event where the skaters race one timed lap around the rink. History was made when U.S. women’s Olympic forward, Kendall Coyne-Schofield, was the first female to participate in an NHL skills competition. She skated her lap first and finished with 14.346 seconds. This was a tremendous milestone not just for her, but for women’s hockey in general as it continues to rise in prominence around the world. For the first time ever, a young girl can watch the NHL skills competition and see a woman competing. What that will do for the next generation of hockey players is immeasureable. Edmonton Oilers star forward Connor McDavid ended up defending his fastest skater title for the third straight year with a time of 13.378 seconds. Another memorable moment was the Ticketmaster NHL Save Streak. This event was made to showcase the goalies and is in its second year. The save streak has a goaltender from one division go up against nine shooters from another division with the captain shooting last. All nine shoot once, but if the captain misses, the streak goes on. Tampa Bay Lightning goalie, Andrei Vasilevskiy, had a record of eight straight saves for the majority of the event. It wasn’t until the last participant, New York Rangers goaltender Henrik Lundqvist, stole the show. “The King” made nine saves in a row to win the event but didn’t stop there. He then continued the streak to 12 where he came up just two shy of Vegas Golden Knights goaltender Marc-Andre Fleury’s all-time record with 14. Finally, one of the more impressive winners was Edmonton Oilers forward Leon Draisaitl in the Enterprise NHL Premier Passer. In this event, the player goes through a series of passing drills including passing to fake players, passing over obstacles into mini nets and passing to randomly lit up bumpers. The first-time All-Star made the course look easy finishing in 1:09 and the next best time was 1:18 (Draisaitl’s run begins at 14:52). On Saturday, the 3-on-3 tournament was surprisingly lopsided in each game. The tournament is set up in two 10-minute periods of 3-on-3 hockey. The bracket sets up a division from the East to play a division from the West in the finals for $1 million. In the first game, the Central pumbled the Pacific by a score of 10-4. Anahiem Ducks goaltender John Gibson gave up seven goals on nine shots in the first 10-minute period. Despite some of the best forwards in the league like McDavid and Johnny Gaudreau being in the Pacific, it’s clear some defense was necessary. On the other side of things, the Metropolitan beat the Atlantic by a score of 7-4. Led by Pittsburgh Penguins center Sidney Crosby and defenseman Kris Letang, the metropolitan got out to an early lead of 3-0. Letang had the game-winning goal and two assists in the semifinal matchup. In the finals, the Metropolitan stormed off and led 5-0 by the end of the first period. Both Crosby and New York Islanders young forward, Mathew Barzal, had two goals and three assists. This was Barzal’s first All-Star appearance and meshed well on a line with the two Penguins skaters. The New Jersey Devils representitive, forward Kyle Palmeri, added a tally in the first period to make it 4-0 Metropolitan. The metro was victorious with a 10-5 victory over the central. Crosby’s combined 10 points gave him MVP honors. Since the tournament’s inception in 2016, there was always at least one period where a goaltender had a shutout. This year there was only one, and it was the Metropolitan division’s Lundqvist, stopping all six shots in the first period of the final game. He had a combined total of 11 saves on 13 shots in the two games. For the full list of skills results, click here. 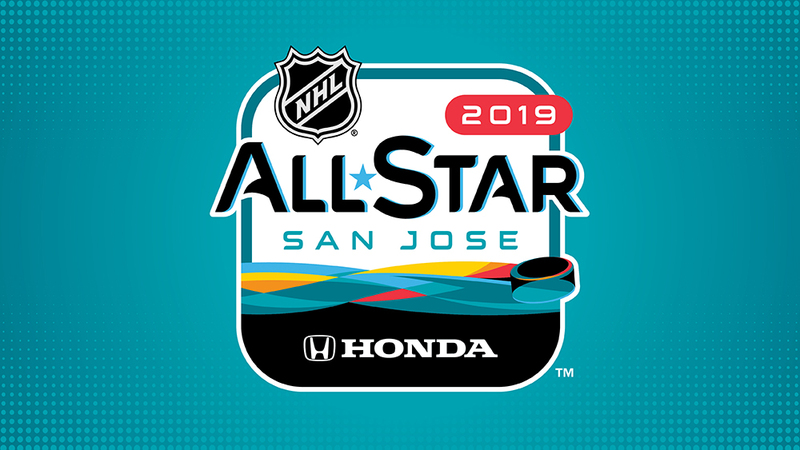 For the full details on the NHL All-Star Game, click here.